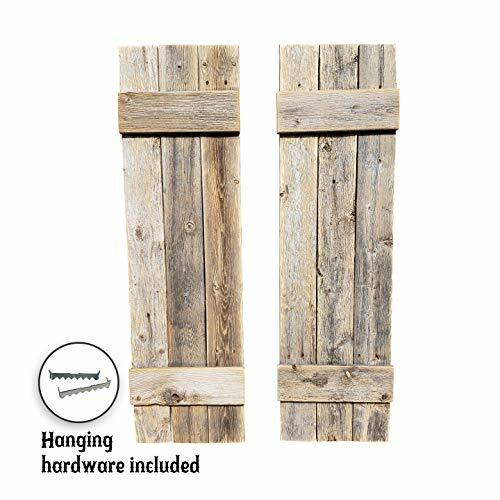 Be the envy of your friends with your unique barn wood shutters. 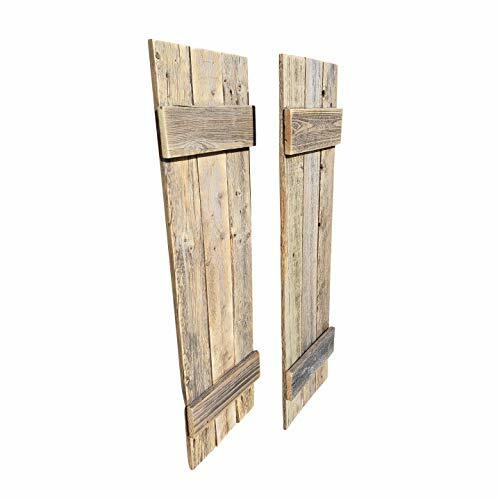 These are made with reclaimed wood sourced and handmade with pride in the USA - NOT CHINA. 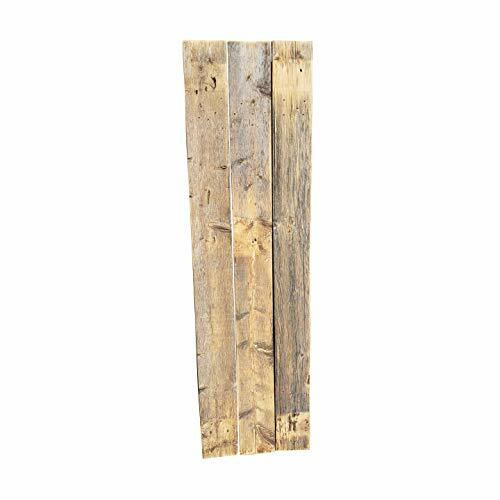 Each piece of wood is unique with natural imperfections, knotholes, nail holes and all the rustic goodness that sets it apart from the cheap copies you will find in the big box stores. 36" tall x 10.5" wide x 2" deep Comes with hangers you can attach for easy mounting. 100% money back guarantee - but we know you will love them. 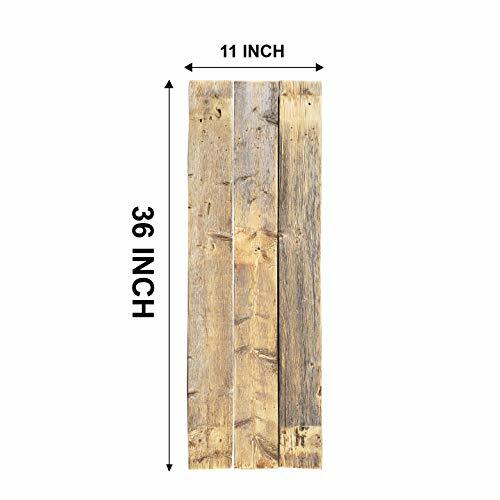 Beautiful and sturdy - these will look great in any room with Farmhouse or Rustic Decor! Each shutter is made with reclaimed wood and looks 100% better than what you will buy in stores. Attached hanging hardware make it easy to install.